“I’d had more than my fair share of near-death experiences; it wasn’t something you ever really got used to. It seemed oddly inevitable, though, facing death again. Like I really was marked for disaster. 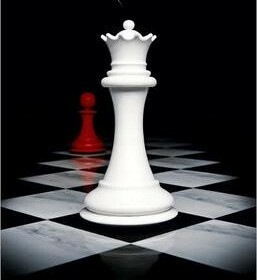 I’d escaped time and time again, but it kept coming back for me.” These first four sentences of Stephenie Meyer’s Breaking Dawn grabbed my attention, and made me want to read this book in a day. Bella Swan is sure that Edward Cullen is right for her, and she is finally happy, now that she is getting married to her one true love. Edward lives with his father Carlisle, his mother Esmee, his two sisters, Alice and Rosalie, and his two brothers, Jasper and Emmett in Forks, Washington. Edward and his family are not like any other family. They are very different than any other family because they are all vampires. To make things even weirder, Bella’s best friend Jake is a werewolf. Jake’s family and Edward’s family have a sacred treaty that says each family can not cross the boundary that they set onto each other’s land. Edward and Jake’s families have been enemies because of this treaty, but Bella and Jake have been friends all their life, and Bella wants to spend the rest of her life with Edward. Bella and Edward both live in Forks, while Jake is from the Quileute tribe in La Push, which is near Forks. Bella and Jake are the only ones who know that Edward’s family are all vampires, it needs to be kept a secret. The thing that Bella wants most is to be turned into a vampire, and that means she would have to stay away from her mother Renee and her father Charlie. Bella thinks she knows what she wants to do, but Edward doesn’t want turn her into a vampire, so she is torn. Breaking Dawn is the fourth book in the award winning Twilight series, the other three books are Twilight, New Moon, and Eclipse. I recommend this book to anyone who likes fantasy stories, or action stories. Reading this book I laughed and cried, the story was so well written. This book was a roller coaster of love, suspense and action, the story is also eerie and suspenseful, but also happy at some points. Stephenie Meyer’s writing style is creepy and also fictional since there are so many mythical creatures, and the story flows and the writing is not choppy. Another thing I liked about Breaking Dawn was that there were two sections in Bella’s point of view and one section in Jake’s point of view, which lets the reader see what Jake is seeing, and not just Bella. All in all, Breaking Dawn was an amazing story, and the Twilight series was one of my favorite book collections.